You don't have to be a fan of the Kentucky Derby or baseball to enjoy a trip to Louisville, the state's largest city. Founded in 1778, the city is one of the oldest cities west of the Appalachian Mountains. Today, it has annual festivals, museums, performing arts centers, sports happenings and plenty of food and drink offerings to appease residents and visitors alike. 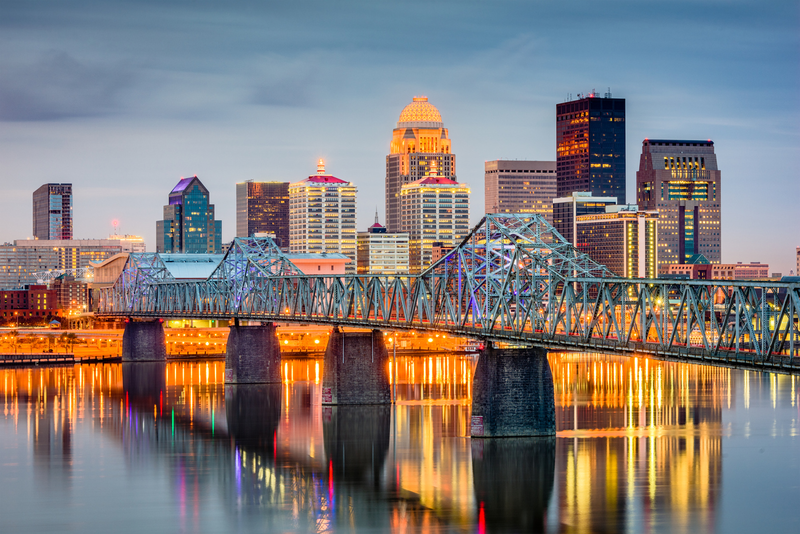 Using travel site Skyscanner, we've sifted through the cheapest flights between Philadelphia and Louisville in the next few months, including some top-rated hotel options and beloved local attractions. The cheapest flights between Philadelphia and Louisville are if you leave on December 11 and return from Kentucky on December 13. Spirit Airlines currently has tickets for $183, roundtrip. There are also deals to be had in January. If you fly out of Philadelphia on January 17 and return from Louisville on January 20, Spirit Airlines can get you there and back for $235 roundtrip. Regarding where to stay, here are two of Louisville's top-rated hotels, that we selected from Skyscanner's listings based on price and customer satisfaction. One option is the 4.9-star The 21c Museum Hotel Louisville, which has rooms for $159/night. This hotel is located close to the airport. Attractions in the neighborhood include the Kentucky Museum of Art and Craft, the Muhammed Ali Center, the Louisville Slugger Museum and Riverfront Plaza Belvedere. Set in the heart of Louisville, this hotel is close to Fourth Street Live and the Muhammed Ali Center, as well as Riverfront Plaza Belvedere and the Louisville Slugger Museum. If you're looking for a popular spot to grab a bite, Louisville has plenty of excellent eateries to choose from. Here are a few from Skyscanner's listings to help you get started. One of Louisville's most popular restaurants is Garage Bar, which has an average of 4.9 stars out of 17 reviews on Skyscanner. "This past-time pump station sat around for ages until a smart, business savvy trendsetter saw the potential. They have great outdoor seating and a classy, yet dive bar ambiance," wrote visitor Kelly. Styled after the great New York City steakhouses of long ago, this Jeff Ruby Steakhouse has an energy all its own. The menu features dry-aged USDA prime beef, as well as some local favorites. "This classic steakhouse is famous in Louisville. Go here for a great view and one of the best steaks in town," Kelly wrote. "It is a pricier option for dining in Louisville, but a romantic spot for a night out." Finally, there's Proof on Main. Proof on Main at the award-winning 21c Museum Hotel in Downtown Louisville offers a combination of inventive food and beverages. Not sure what to do in Louisville, besides eat and drink? Here are a few recommendations, provided by Skyscanner. The top-rated visitor attraction in Louisville, according to Skyscanner, is Kentucky Derby. Big Four Bridge is another popular destination. "The Big Four Bridge is a pedestrian bridge over the Ohio River, connecting Louisville with Jeffersonville, Indiana," wrote visitor Steve. "The bridge at one point had been a railroad bridge."